Belarus is interested in being part of the Customs Union together with Russia and Kazakhstan as well as part of the free trade zone together with the European Union. President of Belarus Alexander Lukashenko made the statement in an interview with the Austrian newspaper Die Presse on 6 July. “Time is the priority for us. We will never reject the Customs Union because it is advantageous for us. But we won’t turn down being part of the EU free trade zone if we are offered the possibility tomorrow. We could use it,” stressed Alexander Lukashenko. The President added: “We prioritize what we can implement earlier. If the Customs Union starts operating in 2010, it will become our priority. Whether there will be a free trade zone of Belarus, Ukraine and the European Union or not we don’t know yet. It is only talks so far. It would be good if we set up the Customs Union together with Kazakhstan and Russia, it will be very profitable for us. If we manage it, we will be joining the WTO together, too. Naturally it would be very advantageous if we create a free trade zone with the European Union”. During the interview Alexander Lukashenko was asked over 20 questions about Belarus’ interest in the Eastern Partnership, the country’s relations with the Russian Federation, cooperation with the European Union, privatization processes in the country as well as other topical matters. Belarus welcomes a new commitment of the presidents of Russia and the United States to reduce strategic offensive arms and to work towards a replacement pact for the START arms control agreement, Press Secretary of the Belarusian Foreign Ministry Andrei Popov told reporters commenting on the Russia-US summit in Moscow on 6 July, BelTA has learnt. “The current START agreement has definitely played a major part in strengthening strategic security and stability. I would like to underline that, in our opinion, the implementation of this agreement became possible only due to the collective efforts of all the signatories to the treaty,” Andrei Popov said. According to him, being START participant, Belarus has made a considerable and fundamental contribution to the nuclear disarmament and non-proliferation by its rejection of the nuclear arms it possessed. Andrei Popov said that Belarus “would welcome the prompt practical realization of the Russia-US declaration signed in Moscow on 6 July that would dismiss all the doubts about the irreversibility of the nuclear disarmament.” “We are convinced that the success of the new agreement will in large part depend on the readiness to cooperate with the states that shared the responsibility for maintaining strategic stability and on Russia-US commitment to guarantee the security of these states,” he added. A reminder, President of the United States Barack Obama and Russian President Dmitry Medvedev signed a preliminary agreement meant as a guide for negotiators as the nations work toward a replacement pact for the START arms control agreement. The joint understanding also commits the countries to lower longer-range missiles for delivering nuclear bombs to between 500 and 1,100. The limit for warheads would be in a range of 1,500 to 1,675 each. The 1991 Strategic Arms Reduction Treaty, or START, led each country to cut its nuclear warheads to about 6,000. The 2002 Treaty of Moscow called for further cuts to between 1,700 and 2,200 operationally deployed warheads by 2012. Apart from that, US and Russian experts will carry out a joint analysis of ballistic missile threats of the 21st century. Under the document signed in Moscow, the new agreement is to be concluded in the near future. Belarus’ cooperation within the OSCE PA framework is advancing onto a quality new level thanks to the establishment of more open relations with Europe, said Claudio D'Amico, member of the Chamber of Deputies of the Italian parliament, member of the OSCE Parliamentary Assembly’s Working Group on Belarus, at a meeting at the House of Representatives of the National Assembly of Belarus on 6 July. Claudio D'Amico was satisfied with the fact that Europe has become more open towards Belarus. “A decision has been made to arrange a special meeting of parliamentarians and discuss new aspects of cooperation within the OSCE PA framework which are related to the revitalized dialogue between Belarus and Europe,” said the politician. Claudio D'Amico also said that the Italian parliament has nearly completed setting up the so-called group of friendship with the National Assembly of Belarus. The group comprises deputies and senators. “Only some technicalities need to be addressed and in several days the group membership will be approved,” he stated. Claudio D'Amico has already been instated as the chairman of the group. He has undertaken to make cooperation with Belarus one of priority matters for the Italian parliament. Claudio D'Amico remarked that Belarus and Italy have always maintained friendly relations. “Their angle changed for the better after the President of Belarus visited Italy,” added the Italian parliamentarian. He also invited Belarusian MPs to visit Italy. Sergei Maskevich, Chairman of the International Affairs and CIS Relations Commission of the House of Representatives, remarked that the National Assembly had already set up a working group for cooperation with the Italian parliament. In his opinion, there is a large potential for building up the interparliamentary relations. Parliamentarians intend to put efforts into improving political, trade and economic relations between Belarus and Italy and the establishment of mutually beneficial contacts between business circles. Last year Italy solidly secured its eighth position in Belarus’ top ten trade partners. In 2008 the bilateral trade totalled $1.2 billion, 45% up on 2007. 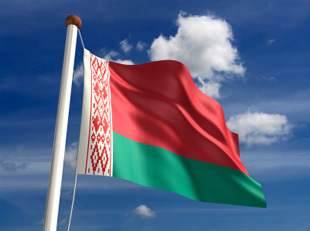 The abolition of visas for foreign tourists coming to Belarus will benefit the country’s economy, Sports and Tourism Minister Oleg Kachan said at a session of the Board of the Council of Ministers on 7 July. The session discussed the implementation of the national tourism development programme for 2008-2010. “Together with the Belarusian Foreign Ministry we are considering the abolition of visas for the EU citizens entering Belarus,” Oleg Kachan said. Each foreign tourist coming to Belarus spends about EUR200 here, of which EUR60 is the cost of the visa. Of course, there are tourists who will come to Belarus irrespective of the visa cost; these people can spend much money here provided they are happy with service. But for an average tourist EUR60 for the entry visa is too much, the minister said. This factor somewhat restrains the inflow of tourists to Belarus. The Board of the Council of Ministers pointed out to the lack of hotels, especially in the regional centres and small towns. 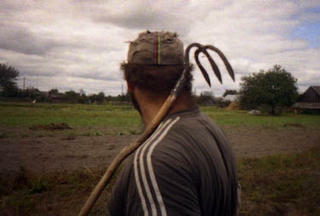 This is the reason why tourists opt to stay in Minsk coming to small towns only for one day. At present there are 27 hotels in Minsk, eight are being designed. Their occupancy rate is 60%. First Deputy Prime Minister Vladimir Semashko noted that Belarus will have to provide accommodation to several hundreds of thousand tourists who are expected to come for 2014 ice hockey world championship. Chairman of the Council of the Republic Boris Batura thinks that large hotel chain operators should be involved in order to increase the occupancy rate of Minsk hotels. 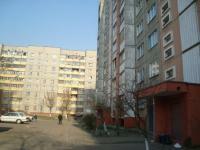 The construction of hotels of famous brands will help attract more tourists to Belarus. BBC reporters intend to give coverage to the international arts festival Slavonic Bazaar in Vitebsk. Representatives of BBC have been accredited to the Vitebsk festival for the first time, BelTA learnt from the mass media and foreign ties department of the Belarus Information Ministry. All in all, around 600 representatives from Belarus, Russia, Ukraine, Moldova, Lithuania, Latvia, Great Britain, the USA, Germany, China and Macedonia are expected to visit Vitebsk during the festival. A team of Belarusian journalists will be the biggest one. They will represent more than 70 national and regional periodicals, national TV and radio channels and news agencies including BelTA News Agency, The Belarus National TV and Radio Company, ONT and STV channels, newspapers Zvyazda, Respublika, Litaratura i Mastatstva and others. The Russian mass media will be represented by leading central and regional periodicals, TV and radio companies including ITAR-TASS, Russia TV Channel, newspapers Rossijskaya Gazeta, Izvestia, Literaturnaya Gazeta, Trud and others. During the festival, the Belarus-Russia Union State will be represented by the Union State Magazine, the Soyuznoe Veche Newspaper and the TV and Radio Company of the Belarus-Russia Union State. 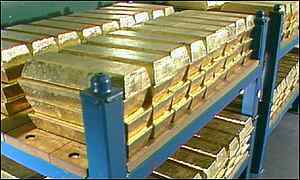 In January-June 2009 Belarus’ gold and foreign exchange reserves calculated using IMF methods shrank by 13.5% ($414.4 million) to a total of $2,646.7 million. The reserves went down by 18.3% in June alone, BelTA learnt from the Information Office of the National Bank of the Republic of Belarus (NBRB). In January-June 2009 Belarus’ international reserve assets calculated using national methods decreased by $560.6 million (15.3%) to $3,101.6 million. In June the reserves shrank by 15.5%, or $566.8 million. As of 1 July hard currency accounted for the larger part of the international reserve assets of Belarus ($2,108.7 million, or 68%) along with precious metals and gems ($910.4 million, or 29.4%). In January-June the hard currency assets went down by 24.1%, while the volume of precious metals and gems increased by 13.5%. Other assets amounted to $82.5 million, or 2.6%. BelTA reported earlier that the NBRB expects the country’s gold and foreign currency reserves to reach $5,870-7,750 million in 2009. Belarusbank plans to attract at least $200 million worth of loans from foreign financial institutions in the next six months, Chairperson of the Board of Belarusbank Nadezhda Ermakova told reporters on 7 July. In H1 Belarusbank concluded 20 loan agreements with foreign banks to the total amount of $150 million. These funds have not been fully utilized yet. Another 30 projects at the total amount of $400 million are in progress. “It is unclear whether all these projects would be adopted. But I think we will undoubtedly attract at least $200 millions more,” said Nadezhda Ermakova. Speaking on the cost of the borrowings, Nadezhda Ermakova said that the loans have become more expensive by 2-3% this year. The Belarusian embassy in the Republic of Estonia is scheduled to open in September and the Estonian diplomatic mission in Minsk will be inaugurated in autumn too, Vladimir Velman, the head of the Estonian parliamentary group for relations with Belarus, said when speaking in the House of Representatives of the National Assembly of Belarus. The Estonian guests are now in Minsk on an official visit. The Belarusian-Estonian relations have started improving. “We observe a warming in bilateral contacts, which is a logical continuation of general European trends, which Belarus got involved into,” Vladimir Velman said. The Estonian guest noted that “the Parliament of Estonia is open to any dialogue”. The State Assembly of Estonia set up a group of friendship with the National Assembly of Belarus this winter. According to Vladimir Velman, there is a mutual interest in strengthening the cooperation. “It is high time we developed the official inter-parliamentary relations in order to change them into informal contacts in the future,” said the Estonian politician. Inter-parliamentary relations have a positive influence on economic cooperation between the two countries and promote a certain level of trust, said Sergei Maskevich, the Chairman of the Permanent Commission for International Affairs and Ties with CIS of the House of Representatives of the National Assembly of the Republic of Belarus. “There are many companies in Belarus with the Estonian capital today. But big opportunities in this field still remain untapped,” said Sergei Maskevich. Estonia has made a number of specific steps, which has created a background for intensifying the political dialogue. The Foreign Minister of Estonia is scheduled to visit Minsk this autumn. Fitch Ratings' Outlook revision of Belarus-based Belinvestbank's (BIB) B- Long-term Issue Default Rating (IDR) to Negative from Stable formed part of a more general review of Belarusian state banks. This review took into account the heightened risks stemming form the weaker outlook for Belarusian sovereign finances and the Belarusian economy (for details see the commentary dated 7 July 2009 "Fitch Revises Four Belarusian State-Owned Banks' Outlooks to Negative"). A full list of BIB's ratings is provided at the end of this release. BIB's Long-term and Short-term IDRs are underpinned by potential support from the Belarusian authorities, given its state ownership, its policy role in supporting the manufacturing sector and significant systemic importance. The Negative Outlook on BIB, as for three other state-owned banks, reflects the weakening ability of the Belarusian authorities to support the banking system, in case of need. BIB's Individual Rating of 'D/E' reflects the risks arising from the bank's considerable share of foreign currency (FX) loans and relatively high borrower concentrations, as well as the bank's moderate loss absorption capacity. However, it also considers the currently reasonable liquidity position. Fitch notes the potential for a marked deterioration in the BIB's stand-alone financial profile in case of a sharp economic downturn, reduced state support for the manufacturing sector and/or a further marked depreciation of the Belarusian Ruble (BYR). Tier 1 and total regulatory capital ratios were 11.3% and 15.6%, respectively, at end-May 2009. Fitch's estimates that at end-May 2009 the bank could have raised the ratio of impairment reserves/loans to 12% (from the current 1.8%), before capital ratios would have fallen to the regulatory minimum, absent any further BYR devaluation. Fitch notes that BIB's loss absorption capacity would be further reduced in case of significant BYR devaluation given the bank's high share of FX loans (38% at end-May 2009). Reported non-performing loans (NPLs -loans overdue by more than 90 days) made up a still-low 0.5% of the loan book at end-May 2009 (0.3% at end-2008). Although NPLs are fully covered by reserves, the considerable share of FX loans, significant borrower concentrations (the largest 20 borrowers accounted for 26% of the loan book at end-Q109) and the high dependence of asset quality on the health of the state-owned corporate sector are viewed as weaknesses in the current environment. The liquidity position is currently reasonable with cash, securities and interbank placements accounting for 21% of BIB's assets at end-May 2009. BIB is the fifth largest bank in Belarus, primarily focused on serving corporates and participating in state lending programmes. At end-Q109, the bank held 6.8% of system assets, a 5.5% market share in retail deposits and a 6.2% market share in corporate lending. The largest shareholders of BIB are the state property committee (86.2% of equity), and the National Bank of the Republic of Belarus (6.5%). On July 7, the President of Azerbaijan Ilham Aliyev received Prime Minister of Belarus Sergei Sidorsky, AzerTAj state news agency reported. The Azerbaijani leader expressed satisfaction at the current level of bilateral relations. President Ilham Aliyev pointed out both countries wish to further boost their overall cooperation. The Head of State praised the level of industrial cooperation, noting "this experience should be applied in other fields as well". Sergei Sidorsky extended greetings of Belarus President Alexander Lukashenko to the Azerbaijani leader. The Belarusian Premier said relations between the two countries "are successfully developing thanks to a right policy set by the two presidents". President Ilham Aliyev asked the Prime Minister to convey his greetings to President Alexander Lukashenko. A group of Icelandic businessmen from five companies in Iceland traveled to Belarus to research and learn more about possible investments in the country. The trip was sponsered by the Trade Council of Iceland but also received assistance from the Business Council in Minsk, the capital of Belarus. The companies that were represented by the businessmen traveling in Belarus were Iceland Seafood, Skinney-Thinganes, Loftleidir (division of Icelandair), MP-Banki, and Kleros which is an investment group in Moscow from Ingolfur Skulason. Thorleifur Thor Jonsson, manager and curator of the new market at the Trade Council of Iceland, accompanied the group to Belarus. He says that he was very satisfied about this oppurtunity to get to know about the country and to see what Belarus has to offer. According to the Belarusian Telegraph Agency, Finland and Bosnia and Herzegovina also are showing interest in cooperation with privatization of Belarusian state-owned companies. The Belarusian Sci-Industrial Association is going to sign agreements with the Iceland Trading Council. “It was not so that trade contracts were signed before or during this trip, however, we sell them fish which they continue selling and distributing throughout the east,” says Thorleifur. Belarus, just like Iceland, is receiving assistance from the International Monetary Fund, although the country did not suffer as harsh of a crisis as other nations in Europe. Thorleifur Thor says that there is a good outlook for the economy in Belarus and that it is possible to find good investment oppurtunities in the future. The Ministry of Foreign Affairs said one more document is needed to register Belsat TV channel. Belsat director Agnieszka Romaszewska told this to the press service of the Belarusian Association of Journalists. According to her, Belsat addressed the Ministry of Foreign Affairs on registration issue for the second time about a month ago. Belsat applied the MFA for registration of the channel as a representative office of Telewizja Polska (TVP) in Belarus for the first time on December 20, 2008. The MFA suspended studying the documents in February referring to the fact the documents were filled incorrectly. 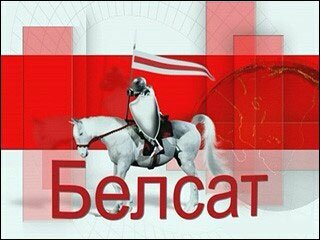 “Considering opening a news office of Belsat TV channel in Belarus may be resumed after all remarks mentioned are corrected,” the notice of February 16 signed by deputy minister Valery Varanetski said. “We only see that they drag on the process. But it could be forecasted,” Agnieszka Romaszewska noted commenting on the second remark of the Belarusian MFA. Judge of Leninski district court of Hrodna A.Bialinski fined the members of Hrodna branch of the Young Front Yauhen Hatalski and Yauhen Shvaba 175 000 rubles for distribution of leaflets with anti-crisis program. ‘At first, when we were detained, the police did not consider these leaflets as political, because there were just pieces of advice on overcoming the difficulties that were connected to the crisis. However, the higher instances started making accent on politics. We were taken to the police station and fingerprinted. Then we were released, but were told to expect writs to court,’ said the Young Front member Yauhen Hatalski. 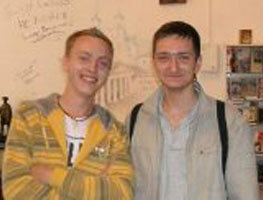 Recently Mr. Hatalski had a talk with the administration of his polytechnic. The talk took place with participation of representatives of the local ‘ideological vertical’, the KGB and the administration of the educational establishment. The student was warned about the possibility of expulsion and that the final decision on this issue would be taken by the appropriate commission in August. 1. Economy – during the crisis the state and the local authorities should cut the unnecessary expenses (on ice palaces, nuclear power stations, agrarian settlements, security services, Stalin’s lines, pompous state celebrations, etc.). 2. 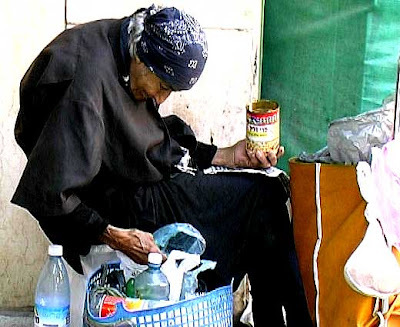 Charity – during the crisis more wealthy Belarusians have the opportunity to help the poor, children, disabled and orphans. 3. Liberalization – decrease of taxes, freeing the business initiative, reduction of bureaucracy and guarantees of the immunity of personal assets. Russia still intends to enter into the World Trade Organization (WTO) despite its decision to do that within the tripartite customs union, President Dmitry Medvedev said at the Russian-American business forum on Tuesday. Medvedev said he had discussed practical issues with U.S. President Barack Obama. “The president asked me whether Russia planned to enter into the WTO. 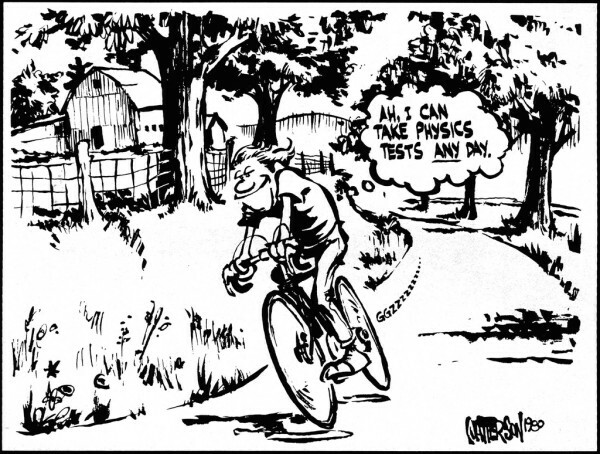 I said once again that we would do that with due account of earlier achievements,” he said. “We plan to enter into the WTO with due account of earlier agreements. We want to lose nothing of what we have done. True, it was a long road, 16 years. To be frank, we are tired. Hopefully, the recent reconfiguration of the accession format will help us achieve the goal more quickly,” he said. Russian Economic Development Minister Elvira Nabiullina also confirmed the Russian intention to join the WTO. She said that Russia intended to make rapid progress and had adjusted to WTO principles. It was announced after the Moscow meeting of the Eurasian Economic Community (EurAsEC) Interstate Council in early June that Russia, Belarus and Kazakhstan would join the WTO together as a tripartite customs union and individual accession negotiations would stop. The Russian-American business forum held in Moscow on Tuesday discussed ways to reset bilateral relations. The forum was organized by the Russian Union of Industrialists and Entrepreneurs (RUIE) and the U.S. Chamber of Commerce. It is time to use the potential of the bilateral relations, U.S. Secretary of Commerce Gary Locke said. The Jackson-Vanik amendment must be cancelled in order to spur on bilateral trade, RUIE President Alexander Shokhin said. The amendment adopted in 1974 applied to U.S. trade with socialist countries hampering the emigration of Jews and other citizens. The protracted accession of Russia to the World Trade Organization (WTO) is another impediment, he said. Russia and Israel lifted visa formalities this year, Shokhin said. “If the cancellation of the Jackson-Vanik amendment requires abolition of visa formalities with the United States, Russian businessmen are ready for that,” he said. “Russia still seeks the soonest admission to the WTO,” Economic Development Minister Elvira Nabiullina said at the forum. “The Russian Federation has long been living by WTO main rules and norms,” the minister said. She disagreed with claims of Russia’s allegedly protectionist policy. “The only protectionism in Russia is tariffs, and there are positive trends in that area, as well. Anti-crisis protectionism is multifaceted, and it frequently exceeds the limits of such respected organizations as the WTO,” he said. Locke supported the Russian entry into the WTO but did not say his support extended to the customs union. Plentiful natural and human resources and a vast consumer market are appealing to investors, American participants in the forum said. U.S. amassed investments in Russia near $3 billion, but this is not enough, the forum delegates said. Nabiullina said they should involve small and medium business in the bilateral cooperation. “Obviously, we pin certain hopes on small and medium business. A number of measures have been taken in its support. We think that this business will add to the potential of the bilateral relations,” she said. President Barack Obama’s efforts to "reset" relations with Russia were in full view Monday in his joint news conference with Russian President Dmitri Medvedev - but if their first summit is any indication, the two leaders are going to have to hit control-alt-delete a few more times. Obama, admittedly, faces a daunting task. On top of 50 years of icy Cold War mistrust, he has to deal with the aftermath of high-level U.S.-Russia turbulence during the Bush years, a period that began with the former U.S. president adoringly gazing into Vladimir Putin’s soul and ended with the Russians furious over the Iraq war, missile defense and a general feeling from Washington that Moscow didn’t much matter in the neoconservative view of the cosmos. Add to that the ongoing high-wire act that U.S. officials have to walk between engaging Russia and expressing alarm at its increasingly authoritarian character, and even the immensely charismatic Obama couldn’t wave a wand and magically change the mood no matter how hard he seemed to be trying on the grand stage at the Kremlin. The biggest achievement touted from the summit - and the only document the two men signed - was a nonbinding “joint understanding” setting target ranges for a new round of nuclear arms reductions. But a look at the fine print shows the deal is less than meets the eye, experts said. The two presidents punted on how to count total weapons or total warheads - a crucial detail in the mathematics of arms reductions. And they committed in writing only to finish the deal “at the earliest possible date,” though Obama said it would be done by year’s end, when the current Strategic Arms Reduction Treaty expires. Isaacs also said he was troubled to hear of another fact the two presidents did not highlight: The framework reductions would take place over a seven-year period once the final treaty is done and ratified. “I don’t know why it would take seven years,” he said. Another expert, Lisbeth Gronlund of the Union of Concerned Scientists, said the framework language dropping the number of permitted nuclear delivery vehicles to between 500 and 1,100 showed that the two leaders were making only modest progress. If the deal seemed a bit rushed to coincide with the summit, the pressure to put hard numbers on the arms reductions actually came from the American side - a sign that of the importance Obama placed in being able to announce something concrete. Given that, it’s not surprising that the numbers in the deal announced Monday suggest that the Americans gave more ground toward the end of the discussions. The Russian daily Kommersant reported Friday that the United States was proposing a maximum of 1,500 to 1,600 operational warheads for each side while the Russian military was insisting on 1,700. The final number - a reduction to 1,500 to 1,675 warheads - came awfully close to the Russian negotiating position. START, signed in 1991, expires in December along with the verification plan it imposes. A separate deal President George W. Bush and Russia’s then-president, Vladimir Putin, reached in 2002 sets a range of 1,700 to 2,200 warheads but contains no verification mechanism. Obama and Medvedev did agree to set up a new verification plan. The U.S. plan for a missile defense shield in Europe, which Medvedev suggested just days ago could b a stumbling block to a final agreement on nuclear weapons, was the subject of discussion during Monday’s summit meetings. However, it was not mentioned in the joint documents related to the treaty framework. U.S. officials painted that as a victory and said it signaled that the Russians would not use missile defense as a reason to block a possible treaty. “I get a sense that we’re really on track now to finish this thing irrespective of what happens with the negotiations about missile defense,” said Michael McFaul, the National Security Council senior director for Russian affairs. McFaul said discussions about Iran and missile defense dominated the one-on-one discussion between the two leaders. However, when it came time for the public news conference, Medvedev couldn’t bring himself to single out Iran, which purchases weapons and many other goods from Russia. “There are regions around the world where the presence of nuclear arms would create huge problems,” Medvedev said. “There is no sense in naming them. But it’s quite obvious that on the situation in the Middle East, on the Korean Peninsula, will depend the climate throughout the globe. ... We should make our utmost to prevent any negative trends there. And we are ready to do that,” he said. Experts say the U.S. will have little success containing the nuclear threat in Iran without a full-court press from Russia. The summit’s most concrete result was a deal to allow aircraft carrying troops and weapons to U.S. personnel in Afghanistan to overfly Russian territory. “That will save U.S. troops both time and money,” Obama said. To the extent progress was made at the U.S. Russian summit, it may have been due to Obama’s efforts to build camaraderie with Medvedev. After a series of setbacks for democracy in Russia, Bush eventually came to regret saying he had looked into the depths of Putin’s soul and saw a good man. Obama came close to that line Monday as he praised Medvedev, Putin’s handpicked successor. In an interview with state-run Russian news agencies last week, Obama laid it on even thicker. “I’ve found President Medvedev to be a very thoughtful, forward-thinking individual. I think that he is doing a fine job leading Russia into the 21st century,” the U.S. president said. What is unclear is whether the man Obama is bonding with is really Russia’s leader - or whether Putin, who became prime minister after leaving the presidency last year, is really calling the shots. Obama is scheduled to have breakfast with Putin on Tuesday. Just last month, Putin stunned diplomats by announcing Russia was abandoning 16 years of negotiations to join the World Trade Organization. Putin said Russia wanted to make a joint entry with Belarus and Kazakhstan - a move analysts said would set back Russia’s accession by two or three years. U.S. officials said they were “shocked” by the move, which came as Russia was close to joining the tariff-reducing body. The official gave no indication that Medvedev’s explanation of the reasons during the talks Monday shed more light on why Russia would turn back at the last moment. The government will approve the amendments to this year's budget act later today. According to data from the Finance Ministry, tax revenues will be zl.46.6 billion lower than those assumed in the act still in force. Just a week ago the Finance Minister claimed that the figure will stand at zl.37 billion. "The loss in tax revenues is much larger than even the most pessimistic forecasts," said Janusz Jankowiak, chief economist with the Polish Business Council. The largest difference will be recorded in VAT revenues as the number will be lower by some zl.24.6 billion as compared to earlier plans. Total revenues will be lower by zl.30.1 billion as the Ministry plans to acquire higher figures from the non-fiscal revenues. A Madonna concert planned on the Catholic feast day of the Assumption has been condemned as a “satanic provocation” by Lech Walesa, the former President of Poland, Solidarity leader and Nobel Peace Prize winner. The concert, planned on August 15, coincides with the day when Catholics celebrate the day the Virgin Mary was physically taken up into heaven. “This looks like a satanic provocation,” said Walesa, who for most of his life has worn a picture of the Virgin Mary on his lapel. “I wear her portrait on my chest, so it's understandable I'm not happy that the concert will take place on this day,” Walesa told Reuters, suggesting that the singer should move the date. Madonna, born Madonna Louise Veronica Ciccone Fortin, is a controversial singer who often uses religious imagery in her music and stage design. She staged a crucifixion scene on her Confessions Tour, which began in May 2006. TWO members of a counterfeiting gang responsible for flooding the streets with more than £2m of fake currency were jailed on Thursday for a total of six years. Cezary Pleskoinos, 30, and Tony Marshall, 29, were snared after the Serious Organised Crime Agency linked them to a "sophisticated" counterfeiting factory. Detectives who raided Pleskoinos's home in Melbourne Road, East Ham, in November seized £275,430 of fake currency. The 'cash' included £20 and £50 Bank of England and Scotland notes and 165,809 in Euros, Southwark Crown Court heard. They also found laser printers, 3,763 sheets of A4 paper printed with £20 notes, foiling equipment and a scanner. Prosecutor David Allan said the Bank of England confirmed that they recalled £2.186m of "same series" fakes from general circulation. Judge Gregory Stone, QC, said: "This was a sophisticated and planned operation with the clear objective of making as much money as possible from this counterfeiting operation. Pleskoinos was jailed for two-and-a-half years. The judge told the Polish counterfeiter: "You were the guardian of the premises and very heavily involved in the printing. I also recommend you for deportation." Graham Brown, defending, said Marshall's role was limited to maintaining the premises and running errands for people "in the upper echelons of the hierarchy". But the judge said Marshall, of Romford, had an "important role" and jailed him for a total of three-and-a-half years. Pleskoinos and Marshall each admitted six counts of making counterfeit notes, one of attempting to make Ghanaian currency, possessing an article for fraud and one of having counterfeiting materials. Marshall further admitted making £6,000 of counterfeit currency in March, 2007. Aliaksandr Hleb is in no rush to leave Barcelona this summer and could well stay put in order to prove himself next term at the Catalan outfit despite receiving numerous offers, according to his agent. The Belarusian midfielder moved to Camp Nou from London a year ago and has struggled to adapt to his new surroundings, which hampered his ability to earn a place in Pep Guardiola's team. While looking to acclimatise, Hleb also had problems with the language but as he seeks to overcome that he believes that he could be successful next season. A number of clubs are prepared to offer the former Arsenal star a way out of Barcelona, but he is not keen to leave and has been told that he is wanted by Guardiola. "We have four or five offers from England and Germany," agent Uli Ferber is quoted as saying by Sport. "The club knows this but technical secretary (Txiki Beguiristain) has told me that Aliaksandr has a guaranteed place in the squad and that is decided by the coach. "Hleb is happy at Barcelona." So Russia's agreement, announced at Obama’s summit in Moscow 6-8 July, to ferry primarily US troops and arms through Russian land and air space to Afghanistan to accelerate the slaughter there – without any reciprocation on other outstanding issues – comes as a bit of a surprise. Obama faces a reservoir of resentment among Russians who believe that the US has rarely followed through on its occasional peace gestures. “At this point, there is a little bit of hope and a lot of distrust,” said talk show host Vladimir Pozner on Channel One. If the object is to stem the flood of opium, there is lots of evidence that the current Afghan government and the US occupiers themselves actually benefit from this lucrative business, and that the only conceivable endgame which the US can salvage there – a secular military dictatorship propped up by the US – will never deal with this albeit serious problem for Russia. True, Russia also fears the catalysing effect of a Taliban victory on its Muslim Central Asian neighbours. It apparently wants any kind of secular government in Afghanistan, come hell or high water. It looks like Washington has won this stand-off with Moscow, getting its Afghanistan yellow-brick road and its Polish cake. The market value of allying with flashy but fair-weather Washington outshines the more reliable but less alluring Moscow for the present. But US support is for local elites willing to do its bidding. Local populations will gain nothing, and they are wiser than their leaders, with fond memories of their Russian bulwark. The US may have won the battle. Let the US and NATO play out their lethal games in Iraq, Afghanistan and elsewhere. “Progress must be shared,” Obama said in his “Moscow speech” to university students. Let’s see what fruits his policies bear that we can divvy up.